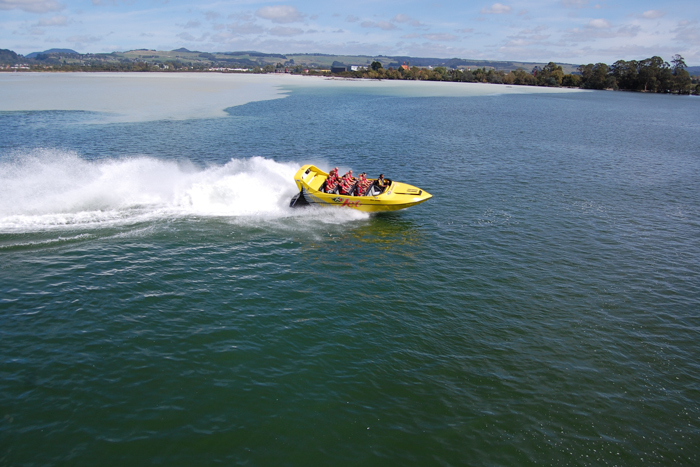 We provide you with Spray Jackets to keep you dry and warm and fit you with a lifejacket to ensure you are safe on your blast around the lake. 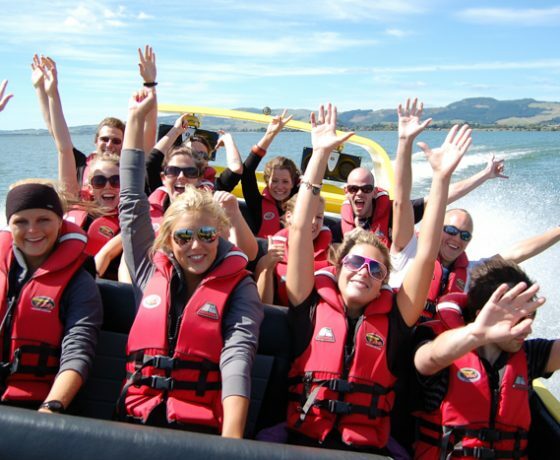 Suitable for almost all ages from the very young through to the most experienced. 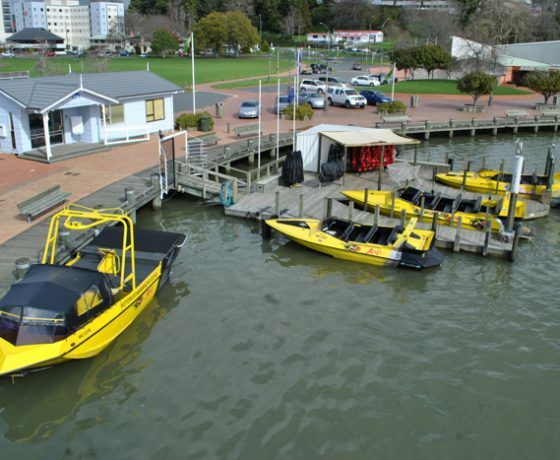 We also have a baby sitting service available for those who want to leave the little ones at the dock. 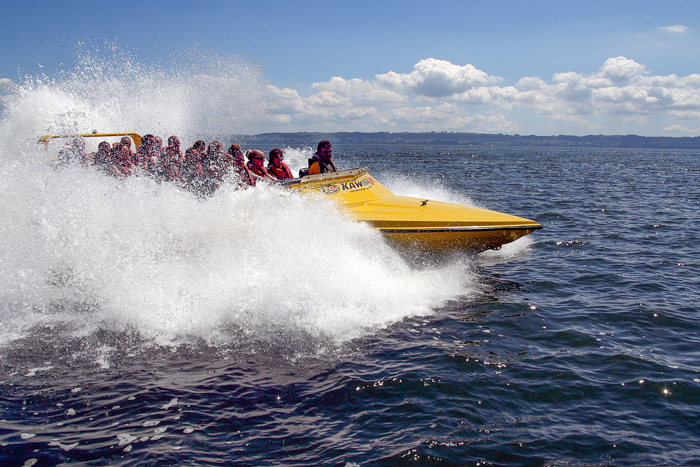 We operate every day in all weather so you don’t have to worry about availability. 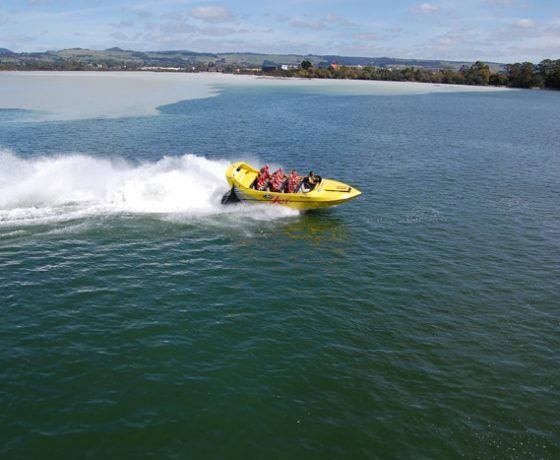 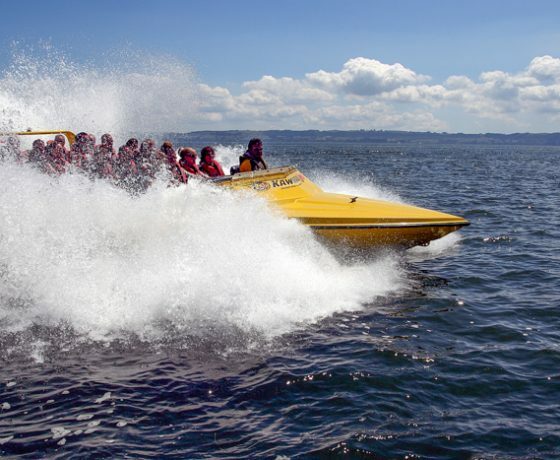 This is the very best way to experience the thrill of Jet Boating whilst learning all about this “World Famous” tourist destination. 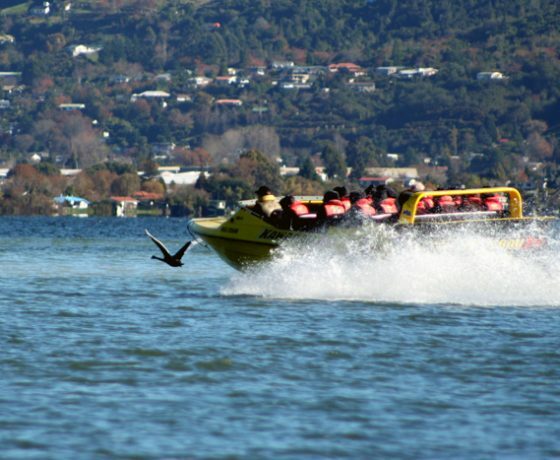 Our convenient Lakefront location is situated only 2 mins walk from the centre of the city and a short stroll from the majority of the hotels and motels. 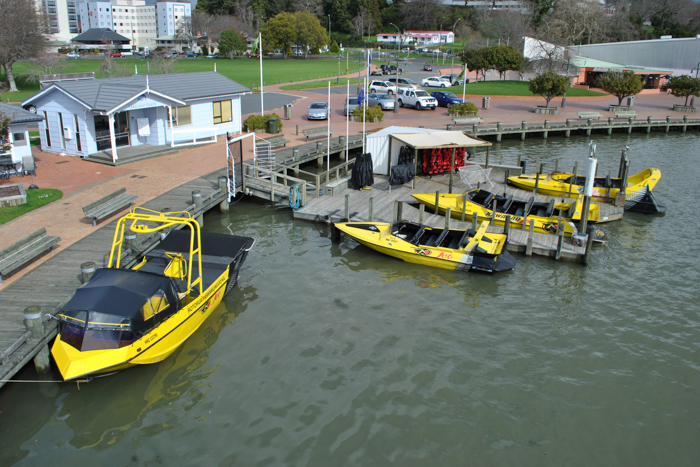 We have a free pick up and drop off service available for all customers so you don’t have to worry about transport. 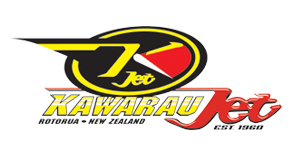 Kawarau Jet can cater from 2 people to 200 people and are specialists in Group Bookings and Corporate Entertainment options. 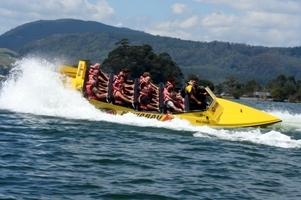 Don’t hesitate to contact us if you have any questions or you want to discuss your requirements. 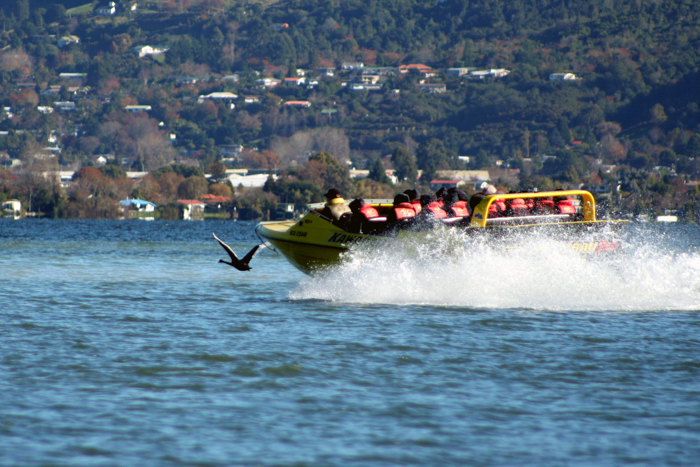 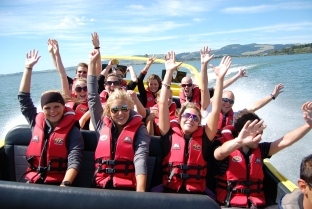 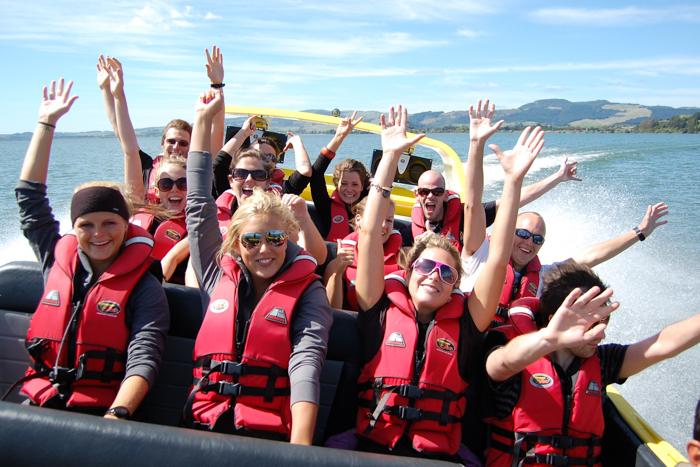 Family special, SkyJet Combo and our “Taste of Rotorua” Combo Deals.